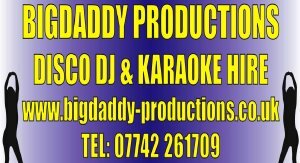 DJ with over 8 years experience in functions and playing in pubs and clubs around Glasgow and abroad. I'm also very experienced in Karaoke should you require that. My Karaoke collection includes over 400,000 songs. Our music comes from a database of thousands of songs from ABBA to Anastasia, Blondie to Beyonce, Culture Club to Coldplay, The Drifters to Deacon Blue...and so on! I'm available for Gigs anywhere. I'm based in Glasgow so most areas in Central / West Scotland can be reached within a 45 minutes drive! One thing you can be guaranteed... You'll have an excellent service on the night with a great sound system and light shows at a very affordable price! "WE LET OUR MUSIC DO THE TALKING"